Often we get asked, “What do you do in the off-season?”. While the list is pretty long, one of the bigger tasks is ordering new items for the Trading Post. As most of you saw this summer, the new Trading Post has more room than ever and we are looking to fill those spaces. We have started working with our many vendors and we are picking out a number of new items for the summer. Items like new sweatshirts, t-shirts, and bags will be available beginning in March. Speaking of new items, have you checked out our online store recently? We have added a number of newly released Avery charms and Christmas charms from Jim Morris Designer, as well as adult long-sleeve versions of our most popular shirts of the summer! Be sure to get yours now, before it is too late! Another exciting item to look forward to is that this year we will begin offering gift bags for sale with goodies from the Trading Post that are not for sale otherwise. 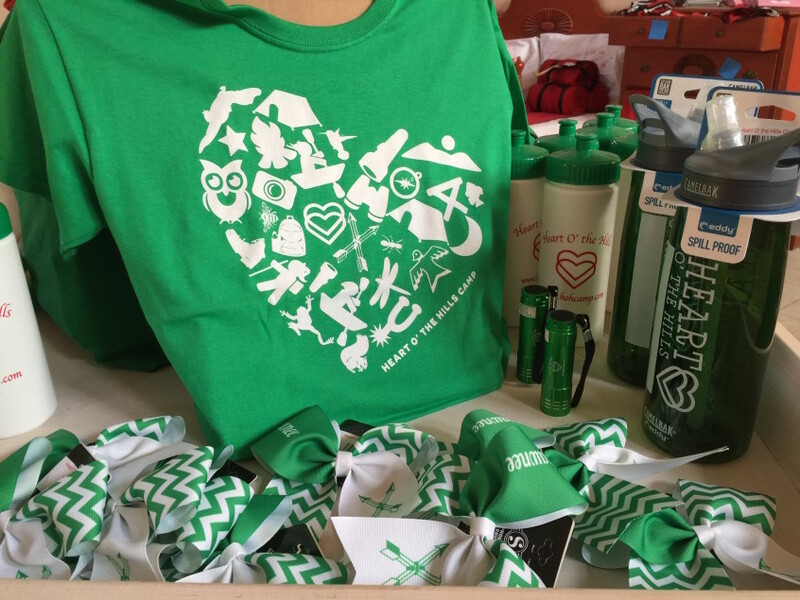 Exclusive tribe spirit items, spa items, jewelry, and games can fill the gift bag and it will be delivered to your camper on your chosen day during her stay at The Heart. Be sure to check out our online camp store closer to camp for more details. We need your help here! We want to know how you wear your Heart clothing outside of the camp season! Send us pictures of you wearing our camp gear, and who knows, you might end up on our Trading Post Site.